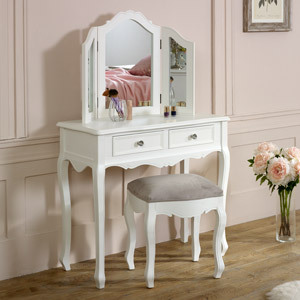 Beautiful white dressing table stool with soft grey velvet upholstered seat in vintage French style. 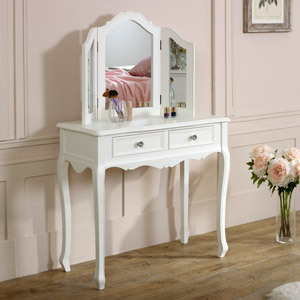 Perfect for use with the Victoria Range dressing table. 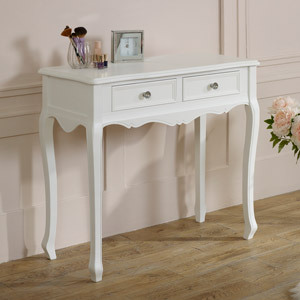 The ideal companion to our Victoria Range dressing table. The stool comes with a luxuriously soft grey velvet cushioned seat for extra comfort. 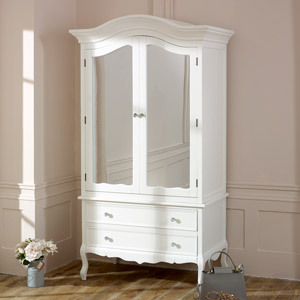 The base features elegantly shaped legs that give a classic French feel. 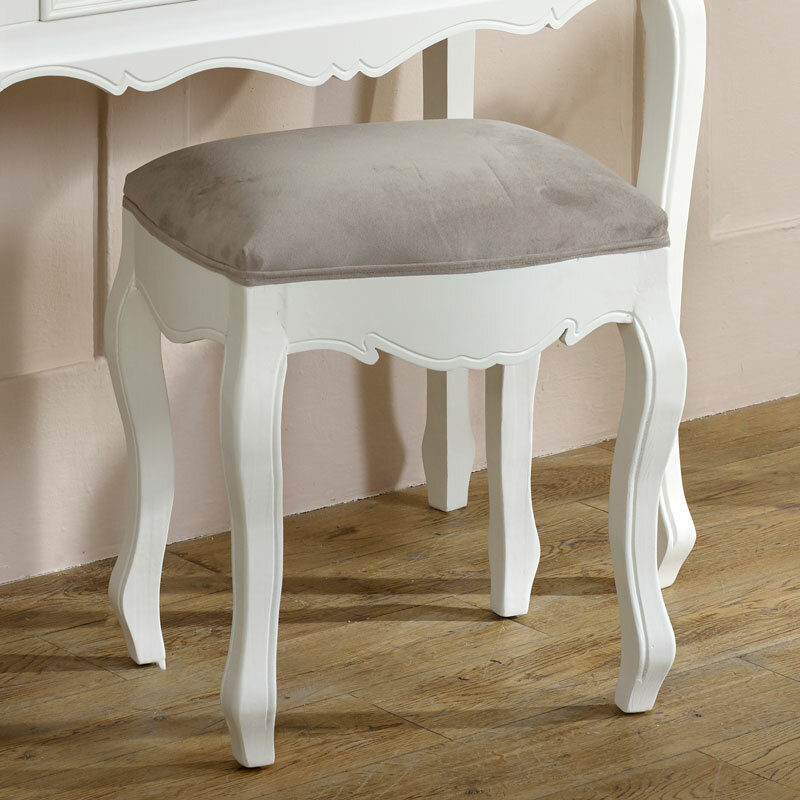 This stool will look fantastic paired with the Victoria Range dressing table or can easily be used as a piano stool for the musically minded person. 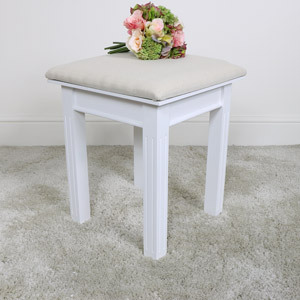 Beautiful white dressing table stool with soft grey velvet upholstered seat in vintage French style. 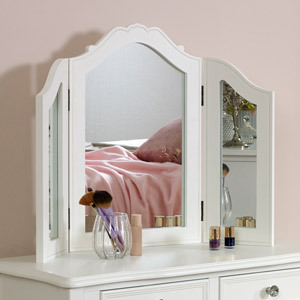 Perfect for use with the Victoria Range dressing table. 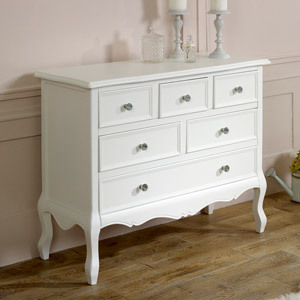 The ideal companion to our Victoria Range dressing table. 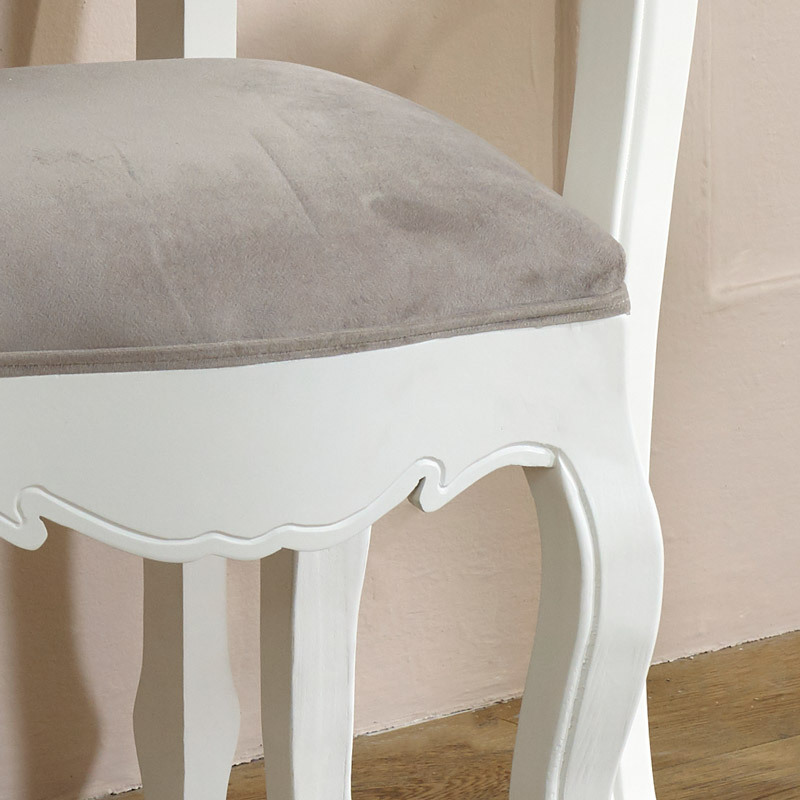 The stool comes with a luxuriously soft grey velvet cushioned seat for extra comfort. 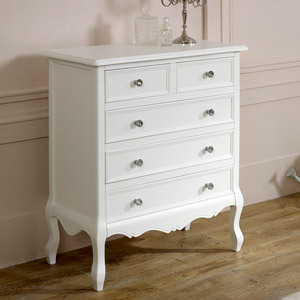 The base features elegantly shaped legs that give a classic French feel. 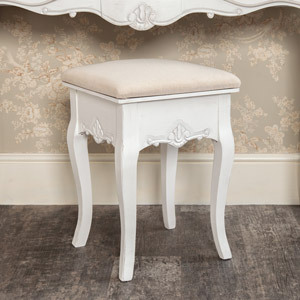 This stool will look fantastic paired with the Victoria Range dressing table or can easily be used as a piano stool for the musically minded person. 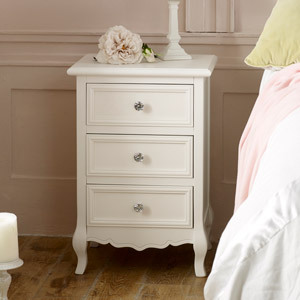 Wooden base in a white satin painted finish with a velvet fabric upholstered seat.